Girls with straight hair always dream about getting waves. 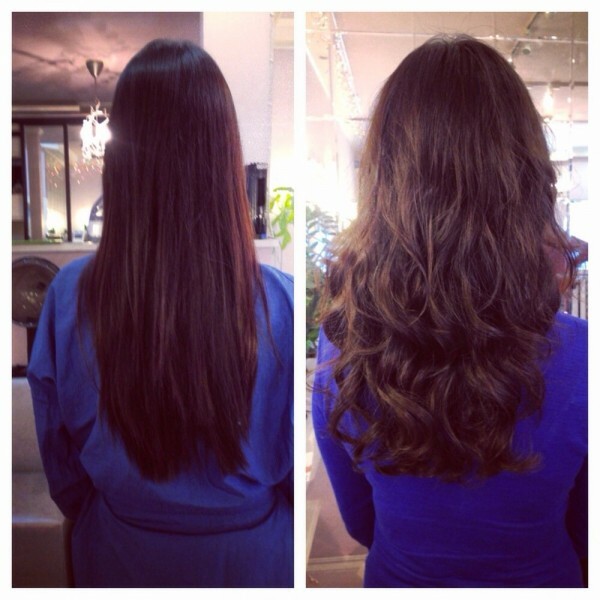 One of the simplest and long lasting ways to do it is to get a beach wave perm. Getting natural beach hair is only possible at the beach, while a beach perm can be done at the salon any time you like. Large natural waves are often preferred by modern women over tight and unruly curls that were popular in the past. One good look at your hair with a beach wave perm will make you wish you’ve gotten it earlier. 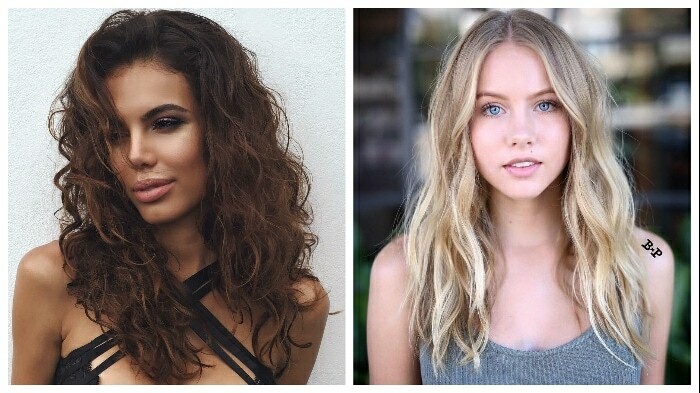 What is Beach Waves Hair? Did you ever braid your hair, slept with the braids intact and then let them loose in the morning? This is what beach waves hair is. It is basically large curls that are a little messy and even a bit frizzy. It’s called beach waves hair because of the way long hair usually behaves at the beach. Due to the increased humidity which accompanies the summer weather near water, many women notice how their hair starts to become a bit wavy. Also after going for a swim in a salt water, the hair gets a certain texture and looks wavy if air dried. More often than not such natural way of getting beach wave hair is not very appealing. The hair either doesn’t become wavy along the whole length or is too messy or frizzy to look attractive. That’s why most women prefer getting their beach waves at home or at the salon. 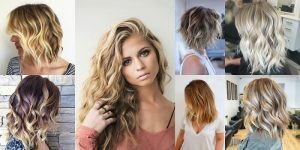 There are several ways to make beach waves on your own without asking for professional help and spending money or actually going to the beach. However, such methods are usually not very long-lasting and can have unpredictable results. Use the above mentioned braid method. Wash your hair in the evening. Loosely braid your wet hair and leave it to dry during the night. In the morning unbraid the hair, shake it out and use some hair spray to make them neat. The same method can be used with buns. It is preferable for women with short or medium-length hair which is hard to get into braids. Divide the wet hair into several strands and arrange each strand into a bun. Use some hairspray to keep the buns intact. Allow the buns to dry overnight and then let your hair loose. Use a beach spray or just salt water to give the hair wavy and frizzy look. Some stylists recommend applying sunscreen to the ends of your locks to make the beach wave look even truer. You can make salt water on your own by mixing a tablespoon of salt with a cup of water and pouring the mixture into a spray bottle. Use a curling iron to make beach waves. Don’t forget to use heat protection products in order to reduce the damage to your hair. Use curling cream on wet hair and then twist it and secure on top. Let the hair dry and your beach waves are ready. All the above methods are easy to make on your own but are not very long lasting. Most likely by the end of the day, you’ll be back to straight and dull locks. 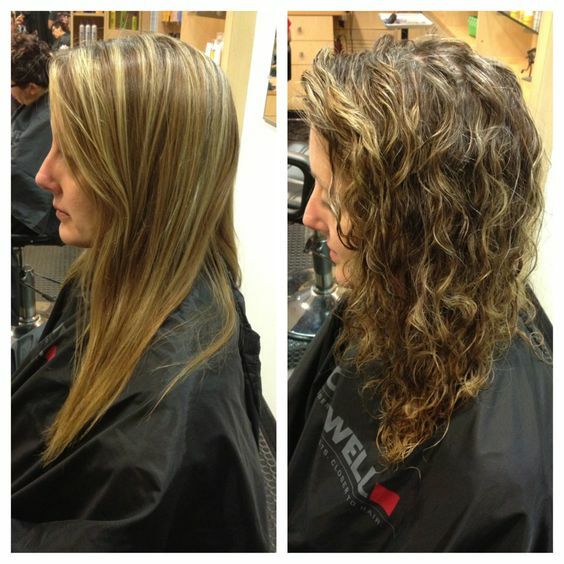 Consider getting a beach wave perm to achieve amazing long-lasting results. Beach Wave perm is a way to perm your hair to make it look naturally wavy. This is a popular look when the summer comes. However, it can also look trendy in the winter time. Beach wave perm is a great idea for women who don’t like going for tight curls and are not fans of super wavy hair. The loose waves a beach perm creates make the hair easy to maintain while looking much more voluminous and stylish. In order for the beach wave perm to look its best, long hair is recommended. It will not appear as effective on short hair. Allow your locks to be at least shoulder-length before you decide to get this type of perm. The perm is very long lasting. As opposed to DIY beach wave methods, the perm can last for many weeks. If your hair is damaged, the perming will not have the desired results. Accordingly, you need to revive your hair before getting a beach perm. You will need to wait 2 days after a perm before washing your hair. This might be a real disadvantage for some shower lovers. It can weaken your hair and you will need to give it some extra attention in order to negate the damage. The perming is expensive. However, it lasts for months, so it is worth the money you pay for it. It is highly unrecommended to try and make beach wave perm at home. The chemicals used for the perming need special care and wielding knowledge. If you try to use the chemicals to make the perm on your own, you can get unfortunate results. What you must remember is that the perm is well….permanent. If you make it incorrectly, you’ll be stuck with a bad hair day for a couple of months and there is nothing more terrible than that. There is no undoing the beach wave perm. You can try switching to the regular perm, however, it will lead to damaging your hair again. While a visit to a hair salon might cost a hefty amount of money, you must remember that by doing the perm at home you risk getting an unfortunate result. If you made a decision to make a beach wave perm at home, get some help from a friend. While you can dye the hair on your own, perming is not that easy. You will need some outside assistance to make the result as perfect as possible. Make sure you read the directions on the perm kit carefully and follow them religiously. Overdoing a perm is very easy. You might end up with a tight and curly disaster instead of soft and natural beach perm. Make sure to protect the skin on your face and neck with some cream or petroleum jelly or you can damage it with the chemicals used in a perm. Put on gloves to protect your hands. Once you are done with the perm, read some beach wave perm hair care information. Is Beach Wave Perm Suitable For You? There are two important things you must consider when deciding whether or not a beach wave perm is right for you. First of all, think about the length. A beach wave perm will not look good on short hair. In fact, you will probably just waste your money trying to do it on short locks. The loose waves need length to look impressive. Your short hair won’t look wavy. Instead, it might just appear messy and unkempt. The second important point to consider is the health of your hair. Perming colored and damaged hair is a terrible idea. In the best case you just won’t see a full-time result. In the worst case, you will damage your hair so much that it will need to be cut short. Remember, this perm is just as permanent as the other ones. Which means you have to be ready to sport this hairstyle for several months. Accordingly, such perm is not suitable for women who like changing their hair as often as possible. You won’t be able to dye the perm either since it will damage your hair too much. If all the above points are considered and you still want a beach wave perm, you’ll be glad to know that it looks fantastic on all hair types and hair colors. If your locks are naturally wavy then this perm will last longer. If your mane is simply long and straight, get ready for a touch-up in a couple of months. A beach wave perm’s cost varies depending on the method you choose. If you decide to go for perming your hair at home, the cost will be much lower. All you will need to purchase is a perm kit. However, the price for kits varies as well. They start at about $8 and go as high as about $20 depending on the brand. If your hair is very long you might need more than 1 kit. If you make the responsible decision to get a beach wave perm at the salon, you will need to dish out some more money. The cost will depend on how expensive your hair salon is and how long your locks are. In most of the average salons, the perms start at about $50 and can go up to $200 and even higher. There is not one simple and general rule to getting a perfect beach wave perm. There are many different options out there for you to consider. Take a look at a few ways your locks can look after getting this type of perm. If your hair is long, red and straight, a beach wave perm will be a perfect choice to make it more voluminous. If your hair is not naturally red but dyed, you will need to learn some important tips about perming colored locks. Instead of perming just one part of your hair, you can do the full-time perm. This type of beach perm will give your hair volume especially if it is naturally thin and dull. 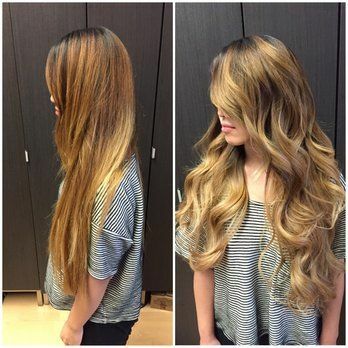 Most of the girls prefer making loose beach waves. However, you can tighten them up a bit to make you hair easier to handle. Such option is suitable for girls with really long hair which is straight. If you wanted to make beach wave hair but got a tighter perm instead, there is no need to get upset. If you go for the wet look, your locks might appear closer the beach waves. Beach waves look especially impressive on thick hair. Not too many chemicals are needed to make the locks wavy and voluminous. Just remember that you will need to fight with frizziness. Neat beach waves look especially well on blond hair. Such nice waves are achieved by using the rod method. You can do it both at home or the salon. Make sure to start at the top and go along the whole length of hair. Making beach waves just on the lower part of your mane is a great idea since it reduces the damage to your hair. Make the perm on just two-thirds of your locks and leave the top part straight and natural. Another way to reduce the damage to your locks while having an amazing perm is to get very loose waves. This option is valid only if your hair is really long so the waves are visible. If you want a real natural look, you should reduce using rods to a minimum. Apply the perming solution on just half of your strands and you will get a great windblown beach look. If you want to achieve a beach look while having as many waves as possible, don’t make them too loose. Use rods to create real impressive waves. They shouldn’t be too loose but try to avoid tight curls. A great way to sport your beach wave perm if your locks are not too voluminous is to comb them over to one side. Add some accessories such as a headband and you will get a very natural and appealing image. If your hair is thick and the beach wave perm is done by a professional, your hair will look soft and fantastic. Flaunt it by letting your locks down. You can wear a hat or a do-rag for an ethnic look. If you are sporting a fashionable Ombre then consider getting a beach wave perm just on the dyed part of you locks. Remember, the longer the hair is, the better your beach waves look. Don’t cut your locks, get a perm! If your hair is naturally wavy, beach waves will look really impressive. The perm will last longer, the hair will get more volume and you will love how easy taking care of it will become. 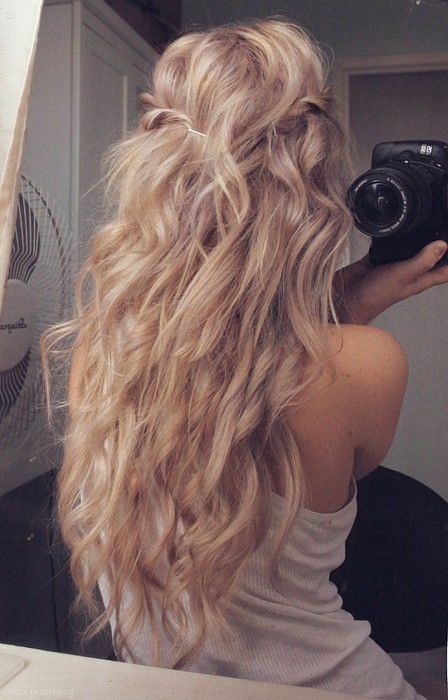 Beach waves look great on highlighted hair. Just make sure you give your tresses a break between dyeing and perming them. Both processes inflict damage upon your locks so you need to be careful. 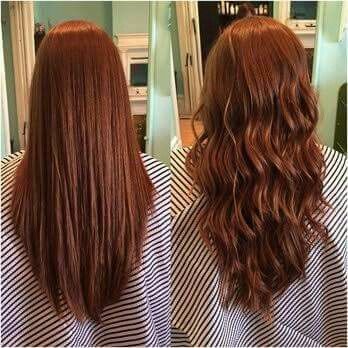 If you’ve always wanted beach waves but your hair is just not long enough for the perm, consider getting wavy hair extensions. They will look perfect attached to straight chin-length hair and won’t require too much maintenance. If your hair is not too long but you still dream about beach waves, consider getting a perm that will make the waves really small. Slightly wavy hair is the best choice for short locks. A beach wave perm looks especially well on black and thick hair. 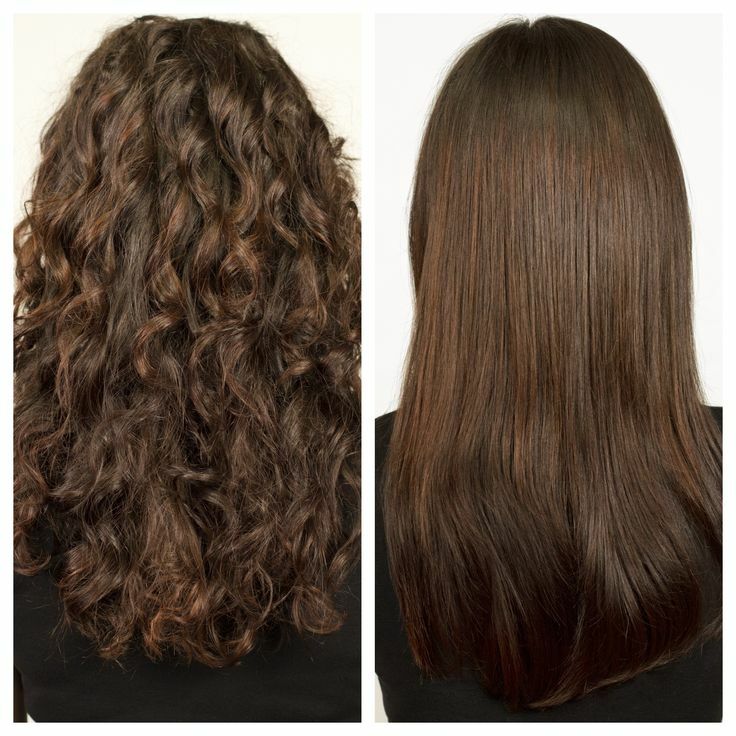 If your locks are too heavy to show volume, a perm can become your savior. You will love the way your image will change. 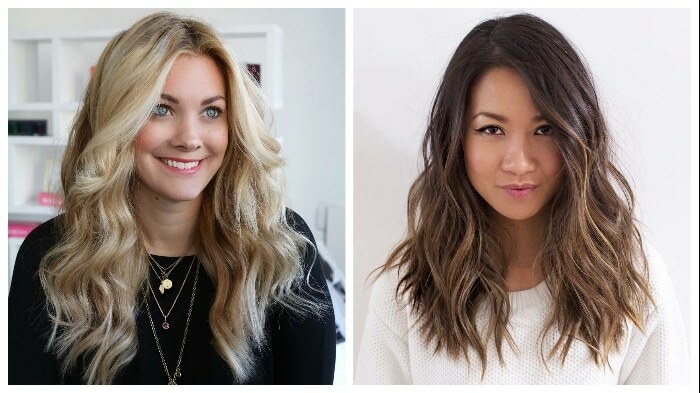 Balayage hair looks especially attractive with beach waves. Just make sure you start perming the locks near your shoulders and go down from there. Leave the top part soft and straight for contrast. If you have chosen the right color for your hair, your beach waves will just make you look even more fabulous. Make sure to ask for professional help in order not to ruin the look. Several factors must be considered before answering this question. What type of perm method did you use? How damaged was your hair when the perm was done? What part of your locks did you perm? How long is your hair? All these things are imperative to understand how long the beach wave perm will last. In most cases, it lasts 3 to 6 months. Getting your hair to look like you’ve just left the beach is not too easy. There are simple DIY methods that don’t take up too much time but don’t last too long. The beach wave perm is a great way to make neat and impressive beach waves on most hair types. Don’t hesitate to try!